The SALAR 'Annie Basic' cross body bag is made from supple calfskin leather with a rounded silhouette. Features a front flap with gold tone push lock clasp and a compact, suede-lined interior with magnetic strap for extra security. Fitted with an adjustable leather shoulder strap for easy carrying. Embossed branding. 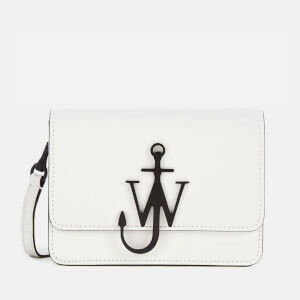 Arrives with a removable leather key charm and branded dust bag.